Red Dead Redemption 2, Rockstar's upcoming open-world western, has a release date. Red Dead Redemption 2 is almost certainly going to be the biggest video game to release in 2018. In fact, as far as we can tell, other developers and publishers seem to be pushing back their games' release dates just so they won't have to compete with Rockstar's looming giant. The buzz for the game has been steadily growing for months, but with consideration to all the new details and fresh trailers we've been granted so far, there's really only one concrete detail that players need to remember: the Red Dead Redemption 2 release date. When does Red Dead Redemption 2 release? Red Dead Redemption 2 will release on Friday, October 26, 2018 for PlayStation 4 and Xbox One, with a PC release yet to be confirmed. If history serves as any indication, Red Dead Redemption 2 will likely release for PC within 12 months or so of its console debut. That’s the way things were handled with Grand Theft Auto 5, at the very least. Of course, this would probably result in hoards of gamers buying the game on console initially only to buy it again on PC months later. It’s a genius business model, really. 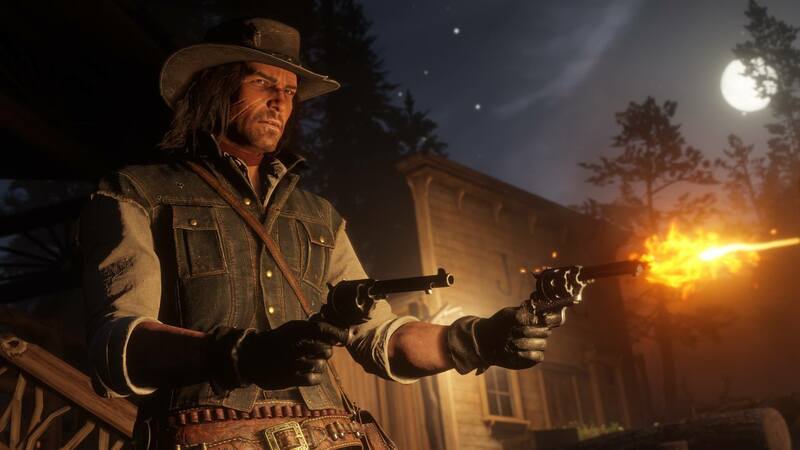 While Red Dead Redemption 2 could very likely outsell all other games in 2019, it might be even more popular than the developers anticipate. The rumors are that Rockstar could include a battle royale mode in Red Dead Redemption 2, which would be like if Grand Theft Auto 5 and Fortnite had a western-themed baby. We already know a few details about Red Dead Online, but that service is only slated to hit beta in November, so it may be a few months after the RDR2 release before we get any solid information. Red Dead Redemption 2 is sure to be the biggest console release of October 2018, but there are still plenty of games to enjoy as this year progresses. Head over to our video game release date schedule for 2018 to study up on everything that will take a spot on your gaming wish list.